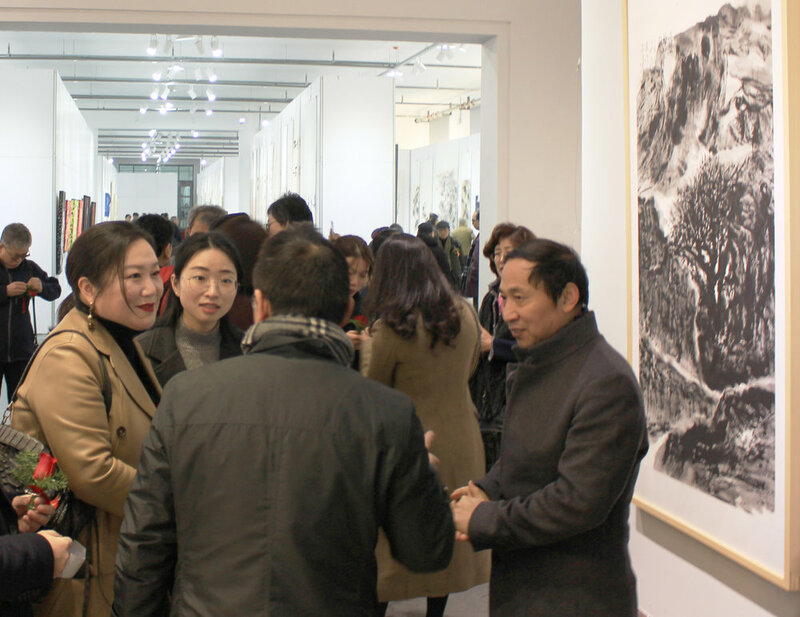 The first two days of the exhibition were time for the artists and related people to mingle and get to know each other's art and culture. The exhibition started with the celebration speech from the Director of Hunan Art and Culture Ministry followed by the Director of Bomnamu. After the ceremony, everyone looked around the exhibition. The second day was probably the most fun and exciting part of the exhibition. The participating artists collaborated together and created great works of art. They gave their works as presents to each other and talked about their art. It was amazing to see the masters drawing and painting without any hesitation. Liu Guanwien, the famous calligrapher, was probably the most enthusiastic artist among all. He totally enjoyed his calligraphy and collaboration! The exhibition continued for another 5 days.